How to Sign Your Kid Up for Hockey for the First Time! If your child is already comfortable on ice skates, consult the age chart below to determine the appropriate level for registration. After several practices at the start of the season, the coaches will be able to determine your child's skating levels and group him or her with other kids with similar skills on a team together. If your child is very young and a complete beginner, you can sign him/her up for our free First Strides Skating School. More information about First Strides HERE. If you're not sure which is the appropriate level for your child, please contact Garth Werner, IP/6U Coordinator, at . by USA Hockey in favor of numerical names for age categories. Our Initiation Player (IP)/Mini Mites program is designed for kids who are new to hockey and need to acquire hockey skating skills. Once the coaches feel that the players are ready to play hockey, they will let you know, and they will determine the appropriate team for your player. Mites are developing hockey players, ages 5-8. Squirts are players who are ages 9-10. Peewees are players of ages 11-12. Bantams are players of ages 13-14. Midget 16U comprises players of ages 15-16. Our current program is for Midget 16U tournament bound split-season only players. Midget 18U comprises players of ages 17-18. Our current program is for Midget 18U tournament bound split-season-only players. For information about what kids at the different levels should be working on and learning, please see USA Hockey's comprehensive website. You can start at this ABCs chart which gives an overview of the American Development Model (ADM), a scientifically researched methodology and program designed around the principles of Long-Term Athlete Development (LTAD). 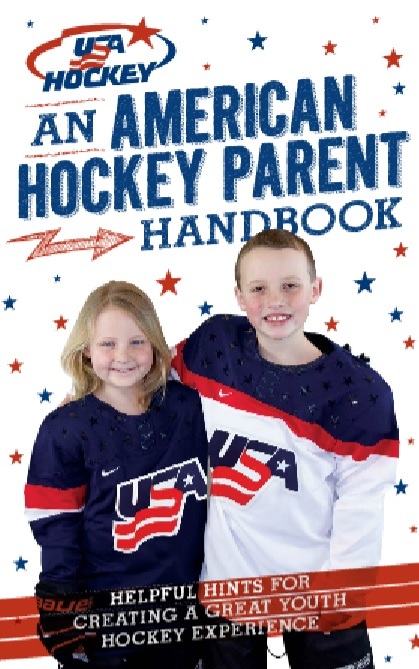 Help your player have a wonderful experience playing hockey with tips from USA Hockey's "An American Hockey Parent Handbook"!